Creates perfectly centered pilot holes every time. The Rockler Insty-Drive 3-Pc. Self-Centering Bit Set includes #4, #6 and #8 self-centering HSS drill bits that conveniently fit in heavy-duty nylon storage pouch. 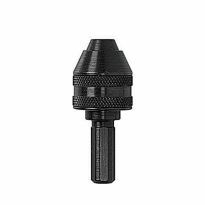 The Self-centering bits feature a hex collar that allows for use with the Rockler/Insty-Drive exclusive Insty-Driver. 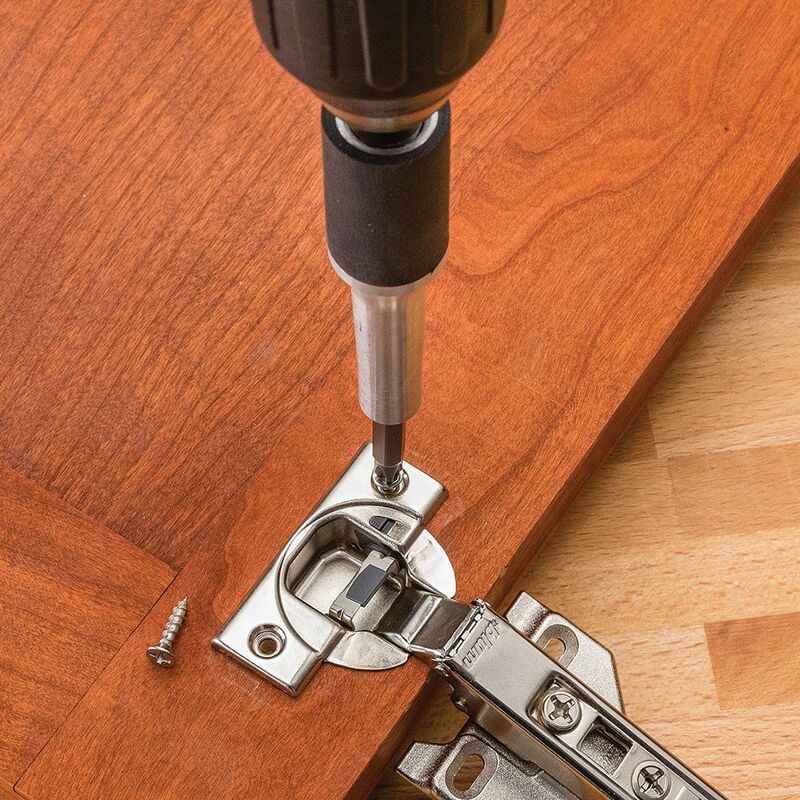 You'll get perfectly centered pilot holes for accurate hinge and hardware installation every time! Individual bits also sold separately. For larger architectural hardware, a #10 bit is available separately. Works amazing! 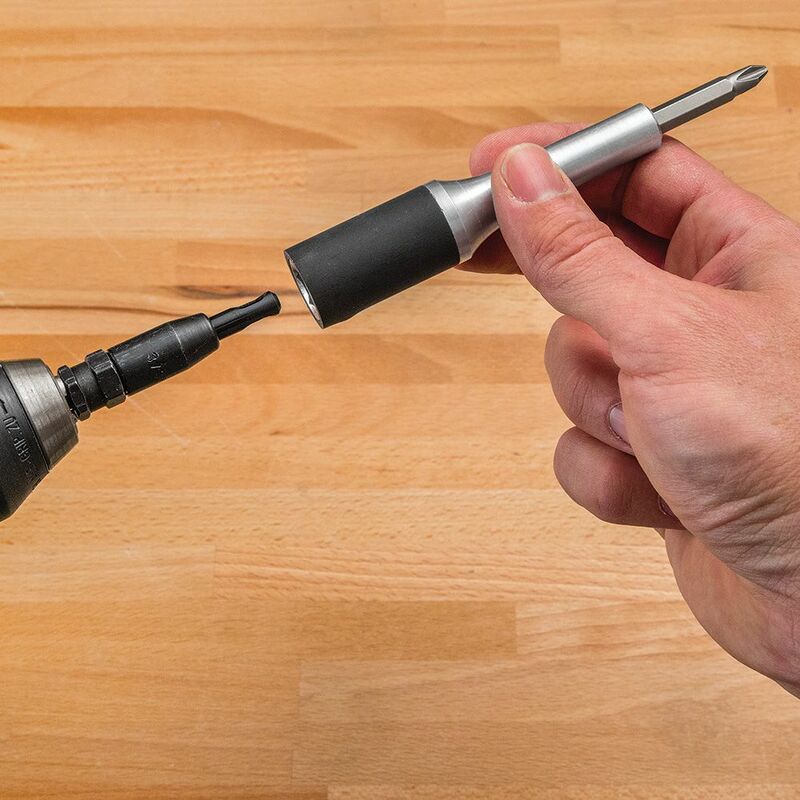 I do a lot of field work, using this bit in my impact driver is quick and easy. They do what they’re supposed to! It’s nice to have these at my finger Tips and don’t have to look around for various sizes. The entire insty bit system is fast and excellent for me. It’s nice to have these at my fingertips and don’t have to look around for various sizes. The entire insty bit system is very good for me. I have used others with poor results. 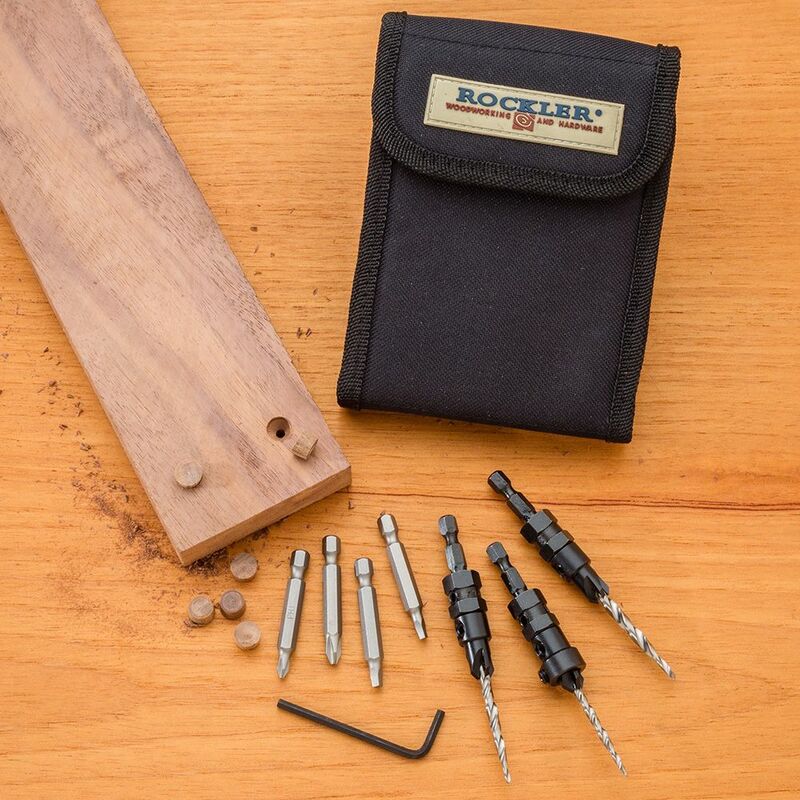 The Rockler insty-drive self centering bits run smoothly and do not bind with wood drilling’s. Highly recommend. This is the easy and fast way too align screws for hinges. Very handy tools, would highly recommend. A really great tool when attaching hinges, gasps and door hardware. Easy to use and easy to clean. I needed a set of self-centering bits for several projects that included drilling holes in a Rockler Router Plate. When drilling the plate, I used the routers base plate for a template and the bits performed flawlessly. Since I have used in many projects especially installing windows and metal thresholds there the hole must be dead center. And NO they do not jam or break as some reviewers have suggested. I highly recommend the set. I rated these centering bits with five stars. They are well made and allow for changing bit sizes for smaller hinges and screws. 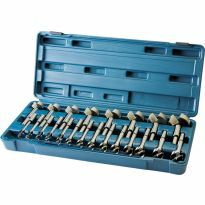 The kit can be expanded with additional centering sizes and bits. The quality is great and well made. I've always used the cheepy ones..these are such an upgrade and better product then the cheeper ones ..happy i dound them here. Needed to drill holes for some new hinges. These drilled perfectly centered holes. Simple and repeatable. Wonderful tool - I don't know how or why I went so long without it. A great value not only as a time saver but also for the accuracy. If you’re a perfectionist, get a set of these. Ever try to ‘eyeball’ a pilot hole for a hinge where you plan to use flat head screws? You can never get it right, and the screws never sit properly flush with the hinge face, meaning it will never hold as well nor as long. That’s where these self-centering drill bits come in handy. You may or may not be a professional, but make your projects look like they were done by a professional. Perfect seating every time. Multiple sizes fit most applications. This set was purchased to replace a lost set. 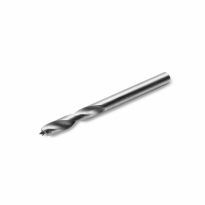 They one of the handiest tools to have ideal for drilling piolet holes for hinges and templates. For me, a great purchase. So easy and fast to drill a screw hole properly for hinges, my main use. Beats the heck out of locating and center punching then drilling a hole on the proper location. Easy to use and increase the accuracy when mounting hinges. These are must haves for installing hinges. Neat product. NOTHING MORE FRUSTRATING THAN MISPLACING A HINGE SCREW TO GOOF UP THE ALIGNMENT OF A DOOR. I cant tell you enough how awesome these are for accuracy. Makes the job a breeze. I just hung a new door and the drilled holes centered as advertised. Couldn't be happier. I have used only one at this time and it did what I was expecting. Eliminated all the guess work drilling hinges. Great tool as long as you keep them cleaned. If not they do have a tendency to get dirty and jam. I usually spray a little silicone lube in them . I use this guys quite often from hanging doors to installing drawers where starting a screw and keeping the hinges or drawer slides exactly where you want them matters. Great tool for when precision counts . They work just as advertised. You do have to clean out the bit after several holes as the shavings tend to cling to the bit adding friction to the process. I use these a lot when installing hinges on large or small chests. 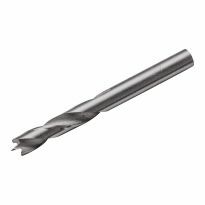 They're great for centering drilling holes for the screws. I wish I had known about these years ago. I don't know how many hours I've wasted in getting my hinges aligned correctly when it would have happened automatically if I had used these bits. These bits make it so easy to install hinges. 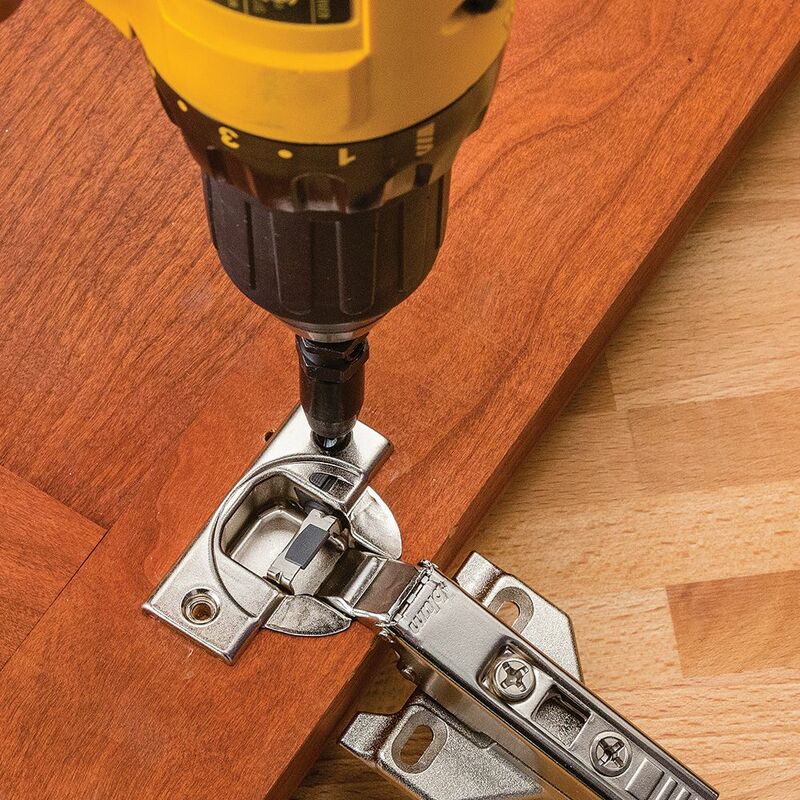 No more off center holes when installing any type of hinge. Works great with a template when drilling holes for shelf brackets in a cabinet. I have often wished That I had something like this. It works great and I am sure I will enjoy these for years to come. I've had a set of these for a long time, I recently bought my installers a set, they loved them. works great. just what I needed.. 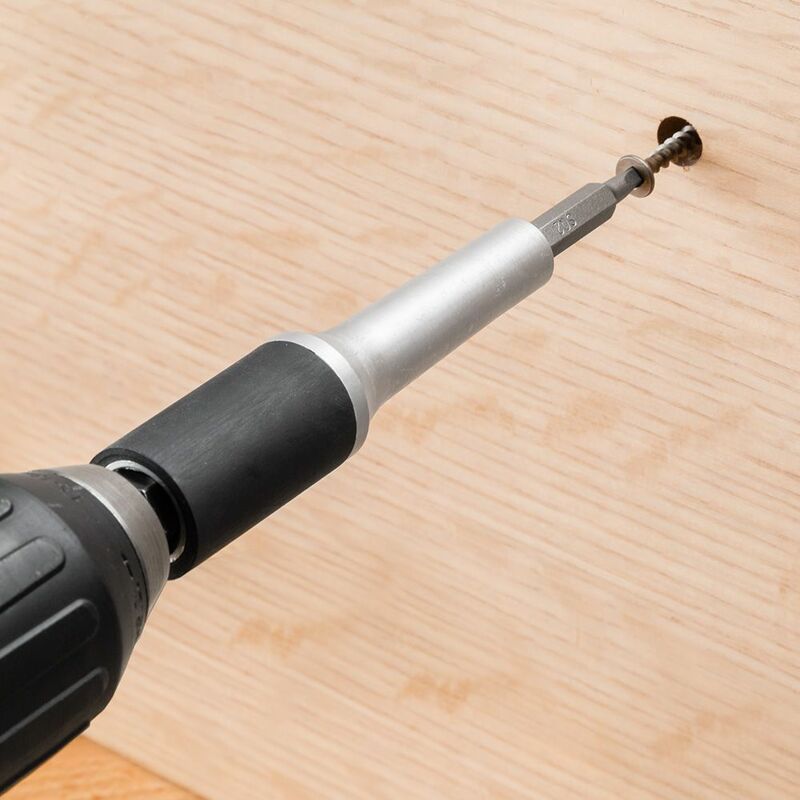 They are very good to use for installation of hinges ,You never drill the holes too deep or too shallow ,it is always same depth, & the pilot hole is always in the center for hinge screws& that helps keep the door aligned. Stocking my shop up on drill bits. I need this product to be more accurate. I chose this item because I am going to make a awah. I purchased this item because a few woodworking plans recommended it to complete the task. 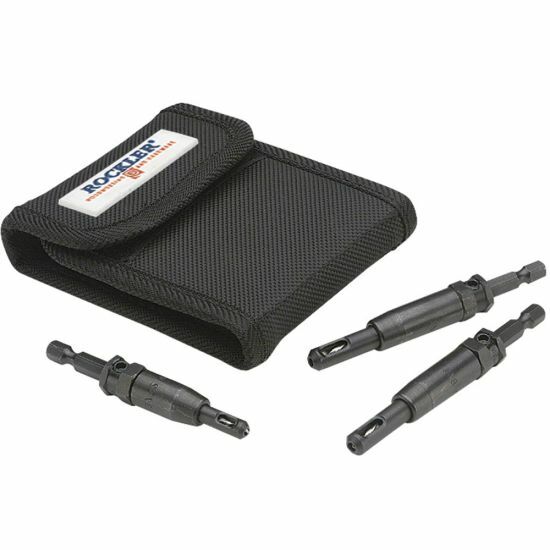 Essential set for mounting any kind of plate with screws, especially door parts like hinges or strikes. Reduce measuring by self-centering, speeds things up & simplifies them. I've tried in the past with normal drill bits. Just not consistent enough to center the screws. I've wanted a set in the shop and now they are on sales so it's time to buy them. I have a few hinges that I need to install and I hear this is the best way to ensure the holes are centered. I needed them and I trust Rockler for quality products. I like having it all within reach in a small pouch. These are awesome for installing hinges, drawer slides or whatever. It puts the pilot holes for the screws exactly in the right place. For better hinge placement and performance. I occasionally build cabinets and I find these handy to center the screws in the hardware. I need new bits, and this offer seems perfect for me. Looking forward to using them! Centering holes on cabinet hinges. My second set. These are quite handy and accurate for pre drilling holes for hinges etc. I am building a desk will help with hinge holes. I wore my old one out. It needed replaced. Need to install quite a few hinges and this will simplify things. Recommended by a friend for installing small hinges in picture framing projects. Lots of cabinet work and the older I get, the more difficult centering becomes. I have looked in several hardware stores for thse bits. When installing hinges and small parts they make for a professional job. Great value. Been wanting a good set. everybody wants a straight hinge ! Nothing worse than a crooked hinge! BEST ANSWER: If I remember right, the centering barrel unscrews from the drive end of the centering bit assembly. 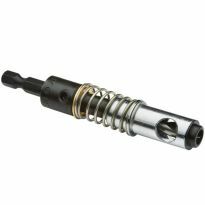 The barrel is under spring tension so watch for the spring action when it is fully disengaged from the drive end. You should then be able to remove the drill bit and spring from inside. I would like to get the soft case on its own with out the self cantering bits,is that possible? What size is in mm? BEST ANSWER: These are not available in metric. #4 is 1.98mm #6 is 2.36mm #8 is 2.77mm. These calculations from replacement bit sizes on Rockler web site. I already have a #5 self centering bit which I think is 7/64". will this size work? When you remove the end does the drill just pull out or is there a set screw that must be loosened? BEST ANSWER: I believe there is a small allen set screw that must be removed if you want to remove the drill bit from the mechanism. Also the forward spring mech can also be unthreaded and removed which helps getting the old bit out. It just pulls out. The shroud is spring loaded. The shroud does get stuck quite often, but I found this bit invaluable with the jig. 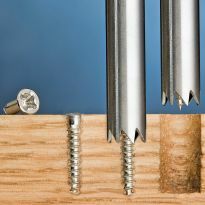 There is a set screw on the driver shank that goes into drills chuck, loosen that and drill bit should come right out. There's a set screw holding the drill bit. It is visible without removing anything. don't know if their made in the U.S. But they work great on small hinges I use on 1/2 inch oak. Each of the three bits is stamped with "U.S.A."
Dose this set come with a # 4 Bit& self centering Drive, if so I need to replace it. What part # do I use, or shod I by a complete set. Also how do I get replacement Bits? BEST ANSWER: Yes, the set comes with a #4 bit plus a #6 and #8. Personally, I'd get the whole set for $30 since they cost $13 for a single one. If your heart is set on just the #4 bit then look for Item #: 68984. What is more common, #4 or #10...? does this product have an adjustable depth stop? I find that my bits keep getting stuck with sleeve retracted, and I have to tug hard to get it to snap back. Is there some adjustment I can do to get them to spring back like they should? Had the same issue but it was caused by wood shavings filling the sleeve. Cleaning the sleeve solved my problem. Does the case support the 4 drill bits or just this 3...? BEST ANSWER: The case can support 5 bits. 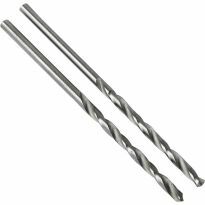 How can I tell from looking at the individual self-centering drill bits which one is a # 8? BEST ANSWER: My set has three bits. Don't worry which size is which, just use the size that seems appropriate for the pilot hope that I need. Mostly use for drawer slides so use the smallest one. How do I set the drill depth? BEST ANSWER: You do not have to set the depth. The bits center the starter hole and the depth is just enough to get the screw started. They pretty much are automatic. I have the set, I need the #10, what is the part number?